Note: To our readers/users who do not understand English well, we have found an independent web site that claims to translate any web site (one page at a time) into German, Spanish, Portuguese, French, or Italian. Go to AltaVista's Babelfish, by Systran, to find out how. Google and Microsoft perform automatic translation too! Click here to jump to a description of our Capabilities (who we are and what we can do and have done). Click here to see who we are NOT. Click here to jump to our Mission Statement. Click here for details on our TK-MIP PC software product for design, simulation, and implementation of state-of-the-art estimation and/or Kalman Filters and related processing and tests of requisite regularity conditions being satisfied. Click here for a discussion of Specialized Technology Topics in which we provide Expert Consulting. Click here to see a list of our Recent Clients. Click here to jump to an Overview Summary of our available Resources for software Development. Click here to jump to our Professional Affiliations. Click here for an overview of our Honors and Awards. Click here for a summary of our Critical Personnel. Click here to view Previous Employers. Click here to see some representatives of our ample Supporting Research, as reported in open literature peer-reviewed publications. Click here to see a list of where Our Research and Results are cited by Other Independent Authors and Researchers. Go to TeK Associates’ CEO Thomas H. Kerr III’s qualifications to be nominated to be an IEEE Fellow. Click here to download a 1MByte pdf file that serves as an example of our expertise in strategic radar target tracking and in recent developments in Estimation Theory and in Kalman Filter-related technologies. In 2018. currently revising, reorganizing, and updating it (to also include more recent stability proofs for certain special EKF's via stochastic Lyapunov functions) before we insert graphics. Click here to download a 252KByte 2003 pdf file that discusses the PRO’s and CON’s of Genetically Modified Organisms (GMO) [according to the Centers for Disease Control and Prevention there are an estimated 76 million cases of food-borne illnesses annually (in 2009), 5,000 of which prove fatal (according to page 8 of Massachusetts High Technology, Vol. 37, No. 32, 7-13 August 2009)]. Click here to download a 213KByte pdf file with a detailed account of the current status of GLR and IMM. Click here to download a 1.72MByte pdf file discussing and analyzing existing pitfalls associated with improper use of “shaping filters”. Click here to download a 654KByte pdf file discussing and analyzing various existing results in random variables and statistics that affect parameter Identification and other aspects of estimation theory for random processes. 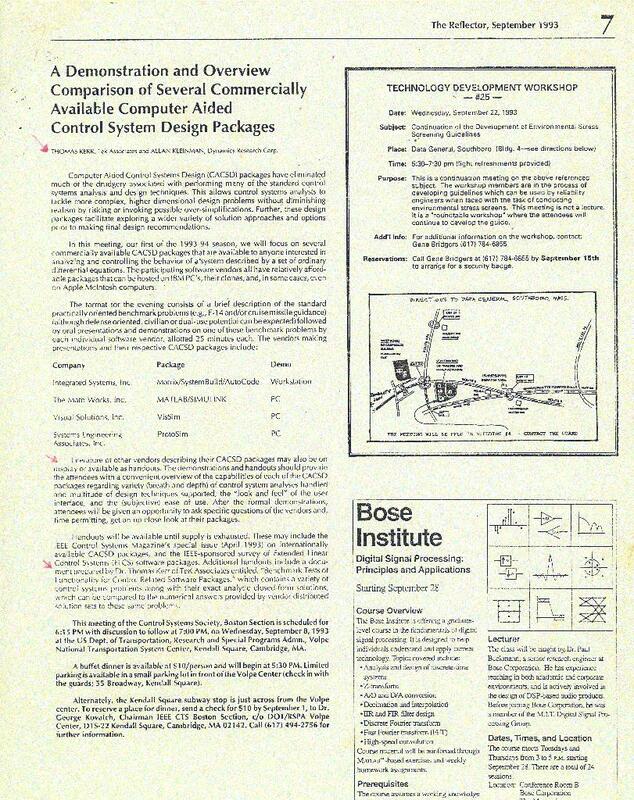 Click here to download a 2MByte pdf file with excerpts of an important application example which exhibits our detailed knowledge of multi-channel Spectral Estimation approaches, techniques (and its underlying theory in the appendices) circa 1989 (a topic that we still follow). Click here to download a 654KByte pdf file consisting of a TeK Associates' proposal solicited by Boeing (specifically by Sohail Y. Uppal, who probably took credit for our work in both of two consecutive summers) for which we were "stiffed" and not paid (yet TeK Associates still published 2 papers from it so it was not a total bust)! Fool us once, shame on you. Fool us twice, shame on us! Click here to view our recent short comment submitted to the Institute of Navigation for publication in their Journal. Click here to see a 160 KByte quantitative analyses of the relative pointing accuracy associated with each of several alternative candidate INS platforms of varying gyro drift-rate quality (and cost) by using high quality GPS external position and velocity fix alternatives: (1) P(Y)-code, (2) differential mode, or (3) kinematic mode at higher rates to enhance the INS with frequent updates to compensate for gyro drift degradations that otherwise adversely increase in magnitude and severity to the system as time continues to elapse. Click here to obtain the corresponding 1.40 MByte PowerPoint presentation. Click here to obtain a detailed 539Kilobyte resume for Thomas H. Kerr III. [Other shorter versions of his resume, specifically emphasizing only radar target tracking experience for strategic Upgraded Early Warning Radar (UEWR), are available in the pertinent sections under our “Consulting Services” topic.] Click here to obtain a less detailed 176Kilobyte resume for Thomas H. Kerr III emphasizing only software. Click here to obtain a detailed 128Kilobyte resume for Thomas H. Kerr III emphasizing only his Navigation experience. Click here to jump to a screen that contains our Secondary Table of Contents. Click here for TeK Associates’ physical “brick and mortar” location and how to get there. Get free TK-MIP® tutorial software that demonstrates TeK Associates’ software development style. Microsoft Word™ is to WordPerfect™ as TK-MIP™ is to ... everything else that claims to perform comparable processing! TeK Associates’ primary software product for the PC is TK-MIPTM, which encapsulates both historical and recent statistical estimation and Kalman filtering developments and performs the necessary signal processing of implementation conveniently, understandably, and accessibly. Harness the strength and power of a polymath to benefit you! It's all encapsulated within TK-MIPTM! Independent Verification and Validation (IV&V) of Kalman filter-related software code (as had been performed by us at Intermetrics, Inc. for several different Navy Sonar and sonobuoy target tracking systems [Lofar, Difar, Passive Tracking Algorithm] and for other Navy applications over 6 years). We have performed exploratory ground breaking investigations (such as those mentioned above) under DoD contracts in Exact and Approximate Nonlinear Filtering and in many of its variations and on their refinements in particular applications, as indicated above. We have prior background and experience in each of the above bullet topics, which are all mathematics-based (and we also know to include the physics-based constraints, possible military operational constraints and tactics, and we are aware of the hardware induced constraints, some of which frequently cause actual system behavior to degrade away from the ideal that is sought). We have followed this evolving algorithm technology (that is the cornerstone of modern navigation and target tracking) since its inception in the 1960’s and we continue to do so. Because of our past experience, we are able to distinguish between important real evolutionary progress from the hype so prevalent with recent claims of “new results” in this technical area. While we are always open to new ideas and encourage novel imaginative approaches to solving problems, we also cross-check for consistency with the abutting existing supporting theory and precedents and previously established and substantiated analytical accoutrements as well as to test it within the crucible of practicability (in also considering application constraints and tactics-both our own and those of an enemy). Click here to view more on the topics mentioned above for which we offer expert consulting services. Click here to view more on our commercial software product: TK-MIP. In more than 40+ years of professional practice, we have never been involved in any legal disputes whatsoever, nor in disputes or involvements relating to any of our professional activities, nor relating to our product outputs. Our outputs have consisted exclusively of written reports for our clients and the associated technical journal papers and conference articles that are in directly related areas. Any subsequent implementation of our ideas into actual weapons systems or in military platforms (i.e., vehicles) is independently performed by others. We are “held harmless” as a standard stipulation in all of our contracts for engineering analysis services. To be immediately useful and clearly understood by our clients and other readers, our written products are admittedly explicit (i.e., we “cut to the chase” and avoid innuendo) and are sometimes somewhat provocative but are always safely backed up with copious independent concrete reference citations and explicit confirming precedents as well as independently repeatable simulations by us and others “up the wazoo”. As a rule, TeK Associates avoids “going out on a limb”! §AGI also provides their HTTP/IP-based CONNECT® API methodology to enable cross-communication with other external software programs (as well as providing the more recent COM/ActiveX option) and AGI promises to continue to support CONNECT® in order to have complete backwards compatibility with what older versions of STK could do. While we vigorously vouch for the veracity of our TK-MIP software, for routine legal reasons, we must invoke the standard “shrink-wrap” software disclaimers and other prudent limitations on any possible liability exposure of TeK Associates. Can provide Independent Verification and Validation (IV&V) of software developed by others (using our existing exhaustive repertoire of simple test problems with analytically known and theoretically justified closed-form solutions that should be the computed outcome of any new software under test) and cross-check the clarity of the associated documentation supplied by the developers and veracity of the developers’ supporting theoretical claims and associated supporting rationale. Greek: “αρετή” Icelandic: “Fyrsta flokks. Af alefli.” “Hann er sinn eigin herra.” German: “Ich mache viele Uberstunden.” Please click on the above picture for more. Decentralized or Distributed (or as sometimes referred to as parallel) Kalman filters. -Particle Filtering (PF)-(only if they live up to their hype [which has not completely happened yet]) with careful assessment of their associated respective computational burdens. (PF provides very good tracking accuracy but can seldom be computed in real-time! Moreover, PF is not needed in situations where good mathematical models already exist for the system dynamics [such as objects acted upon solely by central forces, as with gravitational forces] and the process or plant noise is merely a minor consideration [especially when it is absent entirely, as is the case with radar tracking of RV’s in the midcourse phase (where the RV’s are to be kinetically intercepted) and for tracking all satellites, in general]. The strong suggestion that “particle filters should only be used for difficult nonlinear/non-Gaussian problems, when conventional methods fail” is made within the Epilogue on page 287, next to the last sentence of the 1st paragraph of the book: Ristic, Branko, Arulampalam, Sanjeev, Gordon, Neil, Beyond the Kalman Filter: particle filters for tracking applications, Artech House, Boston, 2004. (Moreover, pp. 271-283 in Section 12.5.2 discuss Rao-Blackwellized Particle Filters (for additional speeding up of the computations) as well and also discusses this topic further on page 287. Much benefit had already accrued by 2016 in use of Rao-Blackwellized Particle Filters.) Many researchers, like me, are somewhat suspicious when claims are made by other researchers that they used a Particle Filter for a particular application, when adequate linear Kalman Filters had been successfully used for that same particular INS/GPS airborne application for decades (prior to now being applied to an airborne drone, as recently claimed for a PF used by MIT/Draper Laboratory). Since most recent so-called ground-breaking results for PF’s claim “orders-of-magnitude” improvements over prior original PF implementation/ formulation, which itself increase exponentially in complexity with dimension; so a several “orders-of-magnitude” improvement/reduction is still an exponentially increasing computational burden overall. Richard Bellman identified a “Curse-of-Dimensionally” relating to the computational burden of his Dynamic Programming (DP) algorithm (a.k.a., a Viterbi algorithm equivalent), but Bellman’s Dynamic Programming came first in 1953 Rand Report: http://www.dtic.mil/dtic/tr/fulltext/u2/074903.pdf ) and “Curse-of-Dimensionally” was not claimed back then for Particle Filtering per se since Particle Filtering did not yet exist. Robert E. Larson (when he was a VP at Systems Control Inc. in Palo Alto, CA) published his approximate simplifications, in IFAC Automatica circa 1976, that Larson invoked for taming the Dynamic Programming CPU burden in order that its implementation would be tractable for practical applications. Since it was an algorithm that differed considerably from that of Particle Filters in structure, the same simplifications do not directly apply nor carry over and other simplifications for PF were needed, as sought by others within the last 20 years. That distinction was not originally clarified by those who were pursuing use of Particle Filters and sought to reduce the “Curse-of-Dimensionally” but needed to do so in different ways since the precedents used in reducing the computational burden for DP don’t strictly apply for PF’s. When process noise is present (as well as the usual sensor measurement noise), because of the “Central Limit Theorem” and especially the “Central Limit Theorem (with weakened hypothesis but similar strong conclusion)”, the corrupting noises are usually Gaussian in general, and consequently don't require anything special beyond an EKF for successful tracking. The methodology for determining what measurements are needed, as availed from the full rank condition being satisfied from an associated “Observability” analyses or the weaker “Detectability” analysis routinely associated with KF and EKF, apparently don’t exist for PF since there is no system model specified beforehand for a PF for which these conditions can be tested for compliance. Similarly, full rank conditions for “Controllability” or the weaker “Stabilizibility” also cannot be tested for compliance since there is no system model specified beforehand for a PF to be used in such a test.) Without such conditions being satisfied, how can analyzers and implementers be assured of the “stability” of a PF filter estimator to be assured that it is not “diverging” from the “true state”. I have appealed here to the very familiar ample framework that has existed for 4+ decades pertaining to use of available “Lyapunov functions” to demonstrate stability of KF’s (even if the underlying system is unstable, the KF estimator will still appropriately track it well) and approximately, through linearization, for EKF’s (and now exactly for some particular special case EKF’s using “stochastic Lyapunov functions”), where such a useful framework apparently does not yet exist for PF’s. Unlike the benign situation for a purely linear Kalman filter (KF) that allows use of a so-designated separate “Covariance Analysis” (without any system sensor measurements needing to be specified or collected nor any explicit KF estimates needing to be specified or calculated) to set system “Error Budgets” beforehand that serve as “specifications” on the actual hardware to be implemented later along with the software algorithms under consideration now so that system accuracy goals may be met [as discussed on pp. 260-266, Sec. 7.4 of Gelb, Arthur (ed. ), Applied Optimal Estimation, MIT Press, Cambridge, MA, 1974 and a view also confirmed in Maybeck, P. S., Stochastic Models, Estimation and Control, Vol. 1, Academic Press, NY, 1979], the PF has no such capability since PF Covariances are not available in that same way without PF estimates being simultaneously calculated. However, for EKF’s, the situation is similar to that for a PF since a linearization about an EKF estimate is usually needed at each time step in order to calculate the covariances used in a “Covariance Analysis” for an EKF in order that an approximate “Error Budget” can be obtained. -with hopes for benefits to PF in parallelization (multi-threaded parallel processing and/or embedded); I continue to follow recent developments in use of Particle Filters but also continue to have concerns about their failing to be real-time (except when they degenerate & essentially collapse into being merely EKF’s or KF’s [even if they are not explicitly acknowledged as being so]); I also noticed an incompatibility in current hopes for future parallel implementation of a Particle Filter as a further inherent barrier to PF ever being real-time: approaches currently being pursued to accomplish parallel implementation of pseudo-random number generators & maximizing the cycle before they repeat are based on use of Linear Congruential Generator (LCG) algorithmic structures & Mersenne primes to generate variates from a uniform distribution before converting to Gaussian, as needed for PF’s to utilize within numerous “mini-simulation” trials (that invoke use of a RNG within them) before each “measurement incorporation” step, being a huge CPU burden, somewhat ameliorated by performing sophisticated variants of the “Metropolis-Hastings-Gibbs” sampling/re-sampling. Donald Knuth only showed what tests LCG passes in The Art of Computer Programming, Vol. 2, Addison-Wesley, 1969. The late George Marsaglia (https://en.wikipedia.org/wiki/George_Marsaglia) has warned for 30+ years that LCG yields variates that “lie in planes”, a weakness that has been verified by Profs. Persi Diaconis (Stanford Univ. ), P. L’Ecuyer (Stanford Univ. ), and many other current researchers in this area. Even if LCG were perfectly random (which it is not), by attempting a parallel implementation of it risks inadvertent early repetition by a 2nd , 3rd, or 4th LCG, etc. of being somewhere within the same sequence already initiated by an earlier LCG invocation, thus preventing the maximum cycle length from being attained for the following three integer parameters of the computer register: (a, b, and T) involved in the hardware implementation of an LCG [rigor regarding the proper selection of the above mentioned parameters, (a, b, and T), is provided near the bottom of the NEXT screen that pops up after the USER clicks the navigation button at the TOP of this screen labeled “TK-MIP for the PC”], before premature repetition of the series that is sought to be generated. This is the same reason why, as observed in the rigorous simulations of the 1970’s and 1980’s, only one LCG should be invoked (but repeatedly) in the implementation of LCG for a standard serial von Neumann machine. My long standing real-time PF concerns (stated above) are now somewhat mitigated in 2018: https://www.linkedin.com/pulse/new-quantum-method-generates-really-random-numbers-alvin-lieberman-/ (This link is accessible only from LinkedIn by registered LinkedIn users.) However, even this last hypothesized potential path offered from the link immediately above apparently does not yet exist as hardware (even though IBM [which claims to have achieved a working quantum computer in early January 2019], Google, some universities, and several smaller companies are working on it, as identified on the link just offered). Prof. P. L’Ecuyer (Stanford Univ.) has proprietary improvements to eventual generation of Gaussian variates as his approach to a pseudo random number (prn) generator. (According to him, he has ostensibly provided these to The MathWorks and to other software developers for a hefty fee.) The conclusion to date is that the older approaches to generating Gaussian variates is not as good as the more recent approaches mentioned here. Apparently missing so far in PF considerations is any attention to the effect of less-than-ideal prn generation of uniformly distributed variates leading to less-than-ideal Gaussian generation. Since the Bayesian-based derivation of the PF strongly utilizes the properties of conditional probability density functions at several critical places, and, all the more, those of Gaussians; it is highly likely that the departure from ideal Gaussianess in what is actually used in implementing a PF will have a significant adverse affect in that PF’s performance. One could postulate a type of sensitivity analysis that should be performed for this situation in order to quantitatively gauge the effect on the expected consequential PF performance associated with one or the other of the two approximate approaches to be used in PF implementation, neither being “perfect”. --See M. S. Arulampalam, S. Maskell, N. Gordon, and T. Clapp, “A tutorial on particle filters for online nonlinear/non-Gaussian Bayesian tracking,” IEEE Trans. Signal Processing, vol. 50, pp. 174–188, Feb. 2002. --See R. van der Merwe and E. Wan, “Gaussian mixture sigma-point particle filters for sequential probabilistic inference in dynamic state-space models,” in Proc. IEEE Int. Conf. Acoustics, Speech and Signal Processing (ICASSP), Hong Kong, 2003, pp. 701–704. --Please see the excellent discussion of how a PF was implemented for their application: Yozevitch, R., Ben Moshe, B., “A Robust Shadow Matching Algorithm for GNSS Positioning,” Navigation: Journal of the Institute of Navigation (ION), Vol. 66, No. 2, pp. 95-109, Summer 2015 [Notice that they did not say that their PF was real-time] and some of their pertinent references: (1) Crow, F. C., Shadow Algorithms for Computer Graphics, ACM SIGGRAPH Computer Graphics, Vol. 11, No. 2, pp. 242-248, 1977; (2) Bourdeau, A., Sahmoudi, M., and Tourneret, J. Y., “Constructive Use of GNSS NLOS-MUltipath: Augmenting the Navigation Kalman Filter with a 3D Model of the Environment,” 15th International Conference on Information Fusion (FUSION), pp. 2271-2276, IEEE, 2012; (3) Thrun, S., Burgard, W., and Fox, D., Probabilistic Robotics, MIT Press, 2005; (4) Muralidharan, K. Khan, A. J., Misra, A., Balan, R. K., and Agarwal, S., “Barametric Phone Sensors: More Hype than Hope!,” Proceedings of the 15th Workshop on Mobile Computing Systems and Applications, ACM, 2014, 12; (5) DeBerg, M., Van Kreveld, M., Overmars, M., and Schwarzkopf, O. C., Computational Geometry, Springer, NY, 2000. --Please consider that “Observability” and Controllability” yea/nay tests for linear systems with time-varying “System matrix”, “Obsevation matrix”, and “System Noise Gain matrix” are presented in Bucy, R. S., Joseph, P. D., Filtering for Stochastic Processes with Applications in Guidance, 2nd Edition, Chealsa, NY, 1984 (1st Edition Interscience, NY, 1968). --A long view reveals that: tractable techniques for handling “fractional derivatives” for applications have been around for over 40+ years based on Cauchy’s integral theorem as a representation for derivatives in a Complex Variables comtext (where the order of the derivative is generalized using Cauchy’s theorem to no longer be restricted to being merely an integer) or by being based on a Fourier integral. Much of the theory and practical applications of “fractional derivatives” were worked out back then (40+ years ago), as pioneered and published in SIAM by Prof. Tom Osler: https://academics.rowan.edu/csm/departments/math/facultystaff/faculty/osler/index.html Another useful more recent source on this topic is: Kenneth S. Miller and Bertram Ross, An Introduction to the Fractional Calculus and Fractional Differential Equations, A Wiley Interscience Publication, John Wiley & Sons, Inc., NY, 1993. --Other more mundane practical considerations: What will the practical challenges be for documenting Particle Filters for DoD applications in Principles of Operation (POP’s) rationale’s and later in B1’s, B2’s,amd B3’s or in C1’s, C2’s and C3’s without a clear delineation of what the system dynamics matrices and sensor observation matrices and Noise Covariance Matrices are beforehand, as had been established as historical precedents in documentation for Kalman filter or for EKF tracking applications? [By the early 1980’s, the aforementioned documentation for DoD tracking, Kalman filtering, and EKF applications had already standardized on conventions for state variable notation that TASC (as also utilized by Peter Maybeck [AFIT] in his 3 Volume textbooks, respectively, in 1979, 1980, and 1981, on this subject) had adopted and popularized as system: d[x(t)]/dt = F x(t) + B u(t) + w(t) and sensor measurements: z(t) = H x(t) + v(t), and independent zero mean white noise covariance matrices corresponding to w(t) and v(t) above, respectively, being: Q(t), R(t), and Kalman gain: K(t); the familiar TASC discrete-time notational conventions were also adopted.] Appropriate DoD documentation was indeed a challenge for Neural Network (NN) applications that still had to be trained to obtain the necessary weights for “Perceptrons” and multi-layer NN’s. DoD documentation was also challenging for “Fuzzy Neural Networks”. Who or what organization is going to perform the necessary associated “IV&V” of PF documentation? I wish them good luck! --The excellent and extremely readable book: Gelb, Arthur (ed. ), Applied Optimal Estimation, MIT Press, Cambridge, MA, 1974 had a few errors (beyond mere typos); however, corrections are provided in Kerr, T. H., “Streamlining Measurement Iteration for EKF Target Tracking,” IEEE Transactions on Aerospace and Electronic Systems, Vol. 27, No. 2, Mar.1991 and in Kerr, T. H., “Computational Techniques for the Matrix Pseudoinverse in Minimum Variance Reduced-Order Filtering and Control,” in Control and Dynamic Systems-Advances in Theory and Applications, Vol. XXVIII: Advances in Algorithms and computational Techniques for Dynamic Control Systems, Part 1 of 3, C. T. Leondes (Ed. ), Academic Press, NY, 1988 (as my expose and illustrative and constructive use of counterexamples). --I am aware that Fred Daum, Jim Huang, and Mike Hough (Raytheon) have jointly published a recent paper on the use of a PF for Strategic Early Warning Radar tracking of Reentry Vehicle targets but I have not yet seen it! I look forward to viewing it soon. Maybe it will “calm my qualms”. Brown, Robert Grover, Hwang, Patrick Y. C., Introduction to Random Signals and Applied Kalman Filtering, 2nd Edition, John Wiley & Sons, Inc., New York, 1983. The numerical comparison in Julier, S. J., Uhlmann, J. K., and Durrant-Whyte, H. F., “A New Method for the Nonlinear Transformation of Means and Covariances in Filters and Estimators,” IEEE Trans. on Automatic Control, Vol. 45, No. 8, pp. 477-482, May 2000 of UKF vs. EKF performance appears to be somewhat contrived since actual EKF practitioners would either take more frequent measurement fixes to supplement tracking the object’s trend and/or better pose the target model in the first place to take into account its known anticipated planar motion about a circular track of constant radius about the origin by merely posing the problem in (rho,theta) polar coordinates [with known constant angular velocity] as the two states of interest, or if the constant angular velocity is unknown beforehand, then including this unknown parameter as an additional state to be estimated using parameter identification techniques or by using an approach that came later: Souris, G. M., Chen, G., Wang, J., “Tracking an Incoming Ballistic Missile Using an Extended Interval Kalman Filter,” IEEE Trans. on Aerospace and Electronic Systems, Vol. 33, No. 1, pp. 232-240, Jan. 1997, but Julier, S. J., Uhlmann, J. K., and Durrant-Whyte, H. F. do invoke conditions that are impossible to check beforehand e.g., [Julier, S. J. et al, op. cit., Eq. 2] since probability measure for x(k) is unknown); unconventional use of calculated covariance to account for nonlinear measurement equation and associated unconventional assumption of mean being zero and an unconventional proposed handling if mean is not zero (by their saying “it can be shifted”, but mean is in fact unknown so one can not know beforehand how much it should be shifted by, so user is thus stymied in trying to proceed as they recommend [Julier, S. J. et al, op. cit., Sec. 4]; UKF also utilizes “mini-simulation” trials before each measurement incorporation step (but not as many as a PF would require). The above mentioned “Global Lipschitz condition” is much stronger in contrast to the mere “continuity condition” of the system dynamics being a sufficient condition on the nonlinear system dynamics for a deterministic nonlinear differential equation to have a solution. For uniqueness of the solution of the latter, only a “local Lipschitz condition” need be satisfied. The need for a global Lipschitz condition is discussed in Bucy, R. S., Joseph, P. D., Filtering for Stochastic Processes with Applications in Guidance, 2nd Edition, Chealsa, NY, 1984 (1st Edition Interscience, NY, 1968) (and is also discussed in: Kerr, T. H., “Applying Stochastic Integral Equations to Solve a Particular Stochastic Modeling Problem,” Ph.D. Thesis in the Department of Electrical Engineering, University of Iowa, Iowa City, Iowa, January 1971, where a detailed proof is provided on pp. 188-213 utilizing Ito integrals for stochastic integrands). -Please see: Daum, F. E., “Nonlinear filters: beyond the Kalman filter,” IEEE AandE Magazine, Vol. 20, No. 8, pp. 57-69, Sept. 2005 for an excellent, clear discussion of the three estimation algorithms that I have just critiqued above. My only complaint here is that Daum seems to have overlooked or missed the earlier Lie Algebra results of : Li, J. T.-H. Lo and A. S. Willsky, “Estimation for Rotational Processes with One Degree of Freedom-Part 1,” IEEE Trans. on Automatic Control, Vol. 20, No. 1, pp. 10-21, Feb. 1975 as a precedent. [Willsky and Lo explicitly handle estimation on a circle, SO(2), rather than estimation on a sphere, SO(3), as NASA’s F. Landis Markley, et al deal with in their extensive NASA survey and comparison between approaches and techniques. However, Willsky and Lo are particularly lucid in their development and exposition and, moreover, within the last sentence of their conclusion, provide specifics of their suggested generalization to estimation results on arbitrary Abelian Lie groups, such as SO(3).] 5_pub_IEEE.pdf Also see: Lo, J. T.-H. and Willsky, A. S., “Stochastic Control of Rotational Processes with One Degree of Freedom,” SIAM Journal on Control, Vol. 13, No. 4, 886ff, July 1975. Another aspect that Daum may have, perhaps, overlooked is the strong applicability of Lie Algebras well beyond mere separation-of-variables for PDE’s or ODE’s, as in: Wu, Y., Hu, X., Hu, D., Li, T., and Liam, J., “Strapdown Inertial Navigation System Algorithms Based on Dual Quaternions,” IEEE Trans. on Aerospace and Electronic Systems, Vol. 41, No. 1, pp. 110-132, Jan. 2005 and Savage, P. G., “A Unified Mathematical Framework for Strapdown Algorithm Design,” AIAA Journal of Guidance, Control, and Dynamics, Vol. 29, No. 2, pp. 237-249, March-April 2006 and Bernard Friedland, “Analysis of Strapdown Navigation Using Quaternions,” IEEE Transactions on Aerospace and Electronic Systems, Vol. 14 , No. 5, pp. 764-768, Sept. 1978 and Bell, D. J., “Manifolds and Lie Algebras,” in Mathematics of Linear and Nonlinear Systems: for Engineers and Applied Scientists, Clarendon Press, Oxford, UK, 1990. Investigating new Markov Chain Monte-Carlo techniques (Metropolis-Hastings and Metropolis-Gibbs sampling and re-sampling) and associated supporting pseudo-random number and quasi-random number generation techniques so germane to PF (and quasi-random number generation techniques also relevant to encryption). Angle-only tracking (AOT) or Bearings-0nly filtering (for passive sonar or range-denied jammed radar tracking)-all being highly nonlinear and also relevant to interceptor guidance laws (and fire control). Kalman filter tracking accoutrements like the handling of multiple target tracks (e.g., through use of the Hungarian algorithm, or Munkres algorithm, or J-V-C algorithm, or Murty’s algorithm, or Multiple Hypotheses Testing, or distributed Auction algorithm, or new wrinkle using Generalized Likelihood Ratios [GLR] for recent modern update to use of Track-before-Detect algorithms, or any other approaches to solving the Assignment Problem of Operations Research); Matrix Spectral Factorization; and Cramer-Rao Lower Bound (CRLB) analysis & evaluation. Event detection (e.g., through use of Generalized Likelihood Ratio [GLR] or other comparable algorithms), which utilizes the outputs associated with Kalman filters or statistical estimation, to identify faulty navigation components (i.e., INS components, GPS receivers, Receiver Autonomous Integrity Monitoring [RAIM]) or target maneuvers within radar target tracking applications. Self-assembling or self-organizing networked sensors (perhaps exploiting different sections of the electromagnetic spectrum for multi-spectral or hyper-spectral assessments or determinations), perhaps based on Kalman filter constructs or other comparable technologies. Employing tactics for improving target observables such as engaging in certain sensor-host platform maneuvers to improve passive sonar observability, using aircraft maneuvers to eliminate ambiguity associated with several different candidate INS component sources of owncraft INS failure or to reveal the presence of such failures during early stages of a mission before they have deleterious impacts. (E.g., enemy use of decoy wooden gun barrels were eventually distinguished from actual metal ones using Infrared (IR) at sun down during first Iraq war, where “Bud-Light” of flashing InfraRed (IR) lights, only visible to those with IR goggles, were heroically developed by others over an extremely short schedule for aiding in Identification Friend or Foe [IFF] task). Investigations into probability one convergence arguments for assessing estimator convergence to true targets instead of relying on mere mean-square-convergence arguments inappropriately extrapolated from multitudinous Monte-Carlo trials (especially since successful National Missile Defense (NMD) interception is a single sample event). Such developments would enable a more realistic design of experiments for NMD/GMD. Partial Differential Equations (PDE-based) Kalman filter constructs for chemical or thermal conduction (not convection nor radiation) for thermal diffusion (expertise in parabolic PDE’s also extends to understanding methodology in proper use of Kolmogorov equation (a.k.a. the Fokker-Planck equation) arising for the underlying conditional probability density function underlying nonlinear filtering [and in similar PDE’s arising in Electromagnetic theory for the hyperbolic wave equation for transmission lines, waveguides, and antennas]). 2-D Kalman filters for image processing resolution enhancements (with these Kalman filter constructs, along with Decentralized Kalman filters & image registration being likely basis for multi-sensor fusion). Multi-channel generalizations to scalar Maximum Entropy spectral estimation (similarly model-based). Use of a Kalman filter in “sensor fusion” applications. He is enthusiastic about novel ideas from the above list (and elsewhere) that further network centric warfare (i.e., use of decentralized Kalman filters to obtain different complementary perspectives of the same targets by viewing from different aspect angles simultaneously from GPS-derived known locations of the sensors; perhaps also likely synchronized by GPS time; however, he is well aware that other more robust time standards and navigation standards are currently being pursued in 2018 and beyond for PNT, where DOT has taken over the reins from DoD in spearheading solutions for civilian applications while DoD is still pursuing solutions for military applications). He encourages using Kalman Filter-related technology to replace Matrix Spectral Factorization (MSF) in Space-Time Adaptive Processing (STAP) to achieve more robustness in STAP by perhaps accommodating some nonstationarity (in the statistical sense). He seeks to be aware of the emergence of disruptive technologies that may revolutionize certain critical areas related to national defense (but at the same time maintains a healthy skepticism until they actually prove themselves) and he tends to warn others if any perceived fraud is being perpetrated in any form (even if it takes the form of over zealous researchers perhaps overstating the capabilities of a new technique or ignoring its apparent limitations). He discourages invoking unwarranted hype in R&D endeavors. He is an algorithm specialist who is heavy on the analysis, having taken Advanced Calculus, Complex Variables, Operational Mathematics (from Churchill ’s textbook), Point Set Topology, Modern Algebra, Real Analysis I, II and Measure and Integration Theory I, II from the mathematics department in graduate school well before it was in vogue to do so within an engineering curriculum (as it is now). He took the Graduate Record Exam and its mathematics specialty test in October 1967 and scored in the 98th percentile upon entering graduate school. However, he does not overly dwell on this aspect of his past. However, being mathematically oriented does help him to keep up with changes in technology since mathematics, although pervasive throughout technology, generally, has a longer time constant than the other areas of technology but, of course, it evolves too as new discoveries are made and interconnections revealed. He also follows through with “down to earth” practical considerations. One of his goals is to help prevent engineers from going astray with the mathematics and getting hurt (or hurting anybody else and therefore to possibly avoid the usual finger pointing and “blaming the programmer when things go wrong” because someone’s theoretically supporting mathematics was in error). Tom also took extra courses in physics too, like Modern Physics/Quantum Mechanics, Physical/Celestial Mechanics. As a Research & Development Engineer, Systems Engineer, and Software Developer, specializing in digital algorithms, he has worked in the estimation, simulation, and digital implementation area continuously since 1971. This includes 6 years on U.S. DoD (Poseidon\Trident) C-3 and C-4 back-fit submarines [which, in those days, used multiple Univac CP-890/YUK computers in the Navigation Room] and 6 years on Navy and Air Force aircraft Navigation (failure detection and reconfiguration in Navigation systems within own-craft position and attitude determination). He has some experience with sonar target tracking software algorithm evaluation Independent Verification and Validation (IV&V) and has performed Global Positioning Satellite (GPS) System integration Development Test and Evaluation [DT&E(OR)] Operational Readiness in attack submarines (specifically, on the SSN-701 LaJolla as a typical representative) and cross-checked their Department of Defense (DoD) spec compliance in monitoring performance in the GPS Phase II receiver competition between Magnavox and Rockwell Collins in the early 1980’s and has investigated use of INS/GPS in other novel applications of airborne mapping in the 1990’s and in 2003 for the Navy AROSS airborne Littoral surveillance program (under subcontract for Arête) by performing a quantitative analysis of the relative pointing accuracy provided by each of several alternative candidate INS platforms of varying quality (and cost) by using high quality GPS [P(Y)-code, differential, or kinematic] fixes at a high rate to enhance the INS with frequent updates to compensate for degradations incurred with time due to inherent gyro drift rate characteristics of each less expensive INS candidate. He has also worked in strategic Radar target-tracking; and in some aspects of tactical and strategic Electronic Warfare (EW) pattern recognition applications for Honeywell Electro-Optical’s helicopter Missile Warning System (MWS) in the early 1980’s and on Updated Early Warning Radar (UEWR) in 2000 (please click on Consulting Services button at top of this screen for specifics). The common thread is that almost all of the above projects involve Kalman filter signal processing or related estimation theory considerations. An exception was the work he did on security for the WIS program, which stands for WWMCCS Improvement System, and WWMCCS itself stands for World Wide Military Command and Control System (WWMCCS was decommissioned in 1996 and replaced by Global Command and Control System). He draws heavily from his prior experience at General Electric Corporate R&D Center (’71-’73), The Analytical Science Corporation: TASC (’73-’79), Intermetrics, Inc. (’79-’86), and the Lincoln Laboratory of the Massachusetts Institute of Technology (’86-’92), and at TeK Associates (’92-present) and from work he performed on his client’s projects. At Intermetrics, Inc., he also served as Interim Technical Editor of Navigation, The journal of the Institute of Navigation (standing in for his previous supervisor, Stephen Gilbert, for a year: 1985-86) during the transition period between Paul M. Janiczek (after Paul Janiczek got married and relinquished the position of editor) and years before the next full time editor was installed. Click here to see the numerous Continuing Education Courses Tom has taken to keep up with evolving technology. As an algorithm and signal processing specialist, he generally focuses on system aspects related to optimal and sub-optimal estimation and Kalman filtering and in the underlying models and, in particular, to requisite further statistical processing of state estimates and covariances related to incident detection and tracking. He also has interests in GIS and enjoys developing Windows-based PC software and GUI’s to prompt and constructively aid the user. He recognizes that GUI’s can be implemented in interpretive software languages and still be faster than a human’s response while numerical calculations are always to be implemented in truly compiled software languages to reap the benefit of speed, timeliness, and possibly parallelization. At General Electric Corporate Research & Development Center in the early 1970’s, Tom was a protégée of his fellow coworkers in corporate software development of Automated Dynamic Analyzer (ADA) [but not the WPAFB-funded 1980’s computer language known as Air Force Ada (discussed much further below), where both software approaches were named to honor the first computer programmer, Ada Lovelace]: being Joe Watson, Hal Moore, and Dr. Glen Roe (the degree to which this early exposure benefited Tom has only recently been fully realized, as that early experience continues to unexpectedly influence him over the 4+ decades that ensued). -Skog, I., Handel, P., “In-Car Positioning and Navigation Technologies-A Survey,” IEEE Transactions on Intelligent Transportation Systems, Vol. 10, No. 1, pp. 4-21, Mar. 2009. -Smith, M. A., “On Doppler Measurements for Tracking,” International Conference on Radar, Adelaide, Australia, Vol. 1 and 2, pp. 309-314, 2-5 Sep. 2008. -Shi, Y., Han, C. Z., Lian, F., “The Iterated divided difference filter,” IEEE International Conference on Automation and Logistics, 1-3 Sep. 2008, Qingdao, Peoples Republic of China, Vols. 1-6, pp. 1799-1802, 2008. -Banani, S. A., Masnadi-Shirazi, M. A., “A New Version of Unscented Kalman Filter,” Proceedings of Conference of the World Academy of Science, Engineering, and Technology, Barcelona, Spain, Vol. 20, pp. 192-197, 25-27 Apr. 2007. -Petsios, M. N., Alivizatos, E. G., Uzunoglu, N. K., “Solving the association problem for a multistatic range-only radar target tracker,” Signal Processing, Vol. 88, No. 9, pp. 2254-2277, Sep. 2008. -Xu, B. L., Chen, Q. L., Wu, Z. Y., et al, “Analysis and approximation of performance bound for two-observer bearings-only tracking,” Information Sciences, Vol. 178, No. 8, pp. 2059-2078, 15 Apr. 2008. -Hovareshti, P., Gupta, V., Baras, J. S., “Sensor scheduling using smart sensors,” Proceedings of 46th IEEE Conference on Decision and Control, New Orleans, LA, Vols. 1-14, pp. 6083-6088, 12-14 Dec. 2007. -Gadzhiev, C. M., “Determining the operating conditions of floating marine platforms based on the predicted motion control under conditions of wind and wave disturbances,” Measurement Techniques, Vol. 51, No. 1, pp. 28-33, Jan. 2008. -Choudhury, D. R., “Shifted power method for positive semidefinite matrices using Gerschgorin,” Proceedings of 10th World Multi-Conference on Systemics, Cybernetics and Informatics/12th International Conference on Information Systems Analysis and Synthesis, Orlando, FL, WMSCI 2006, Vol. IV, pp. 251-253, 16-19 Jul. 2006. -Fong, K. F., Loh, A. P., Tan, W. W., “A frequency domain approach for fault detection,” International Journal of Control, Vol. 81, No. 2, pp. 264-276, 2008. -Xu, B. L., Wu, Z. Y., Wang, Z. Q., “Theoretic performance bound for bearings-only tracking,” Proceedings of 6th International Conference on Machine Learning and Cybernetics, Hong Kong, Peoples Republic of China, Vols. 1-7, pp. 2300-2305, 19-22 Aug. 2007. -Duan, F. Y., Wang, H., Zhang, L. J., et al, “Study on fault-tolerant filter algorithm for integrated navigation system,” Proceedings of IEEE International Conference on Mechatronics and Automation, 5-8 Aug. 2007, Harbin, Peoples Republic of China, 2007, Vols. I-V, pp. 2419-2423, 2007. -Tong, Z. M., Tang, W. Y., “The application of data fusion in optical theodolite coordinate measurement system,” art. no. 659510, Proceedings of Conference on Fundamental Problems of Optoelectronics and Microelectronics III, 12-14 Sep. 2006, Harbin, Peoples Republic of China, Pts. 1 and 2, Proceedings of the Society of Photo-Optical Instrumentation Engineers (SPIE), Vol. 6595, pp. 5951-5951, Parts 1-2, 2007. -Xu, B. L., Wu, Z. Y., Wang, Z. Q., “On the Cramér-Rao lower bound for biased bearings-only maneuvering target tracking,” Signal Processing, Vol. 87, No. 12, pp. 3175-3189, Dec. 2007. -Mironovskii, L. A., “The use of analytical redundancy in navigational measuring systems,,” Proceedings of 4th International Seminar on Mathematical, Statistical, and Computer Support of Measurement Quality, 28-30 Jun. 2006, St. Petersburg, Russia, Measurement Techniques, Vol. 50, No. 2, pp. 142-148, Feb. 2007. -Li, X. R., Jilkov, V. P., “Survey of maneuvering target tracking. Part V: Multiple-model methods,” IEEE Trans. on Aerospace and Electronic Systems, Vol. 41, No. 4, pp. 1255-1321, Oct. 2005. -Li, X. R., Jilkov, V. P., “A survey of maneuvering target tracking: Approximation techniques for nonlinear filtering,” 16th Conference on Signal and Data Processing of Small Targets, 13-15 Apr. 2004 Orlando, FL, Signal and Data Processing of Small Targets 2004, Proceedings of the Society of Photo-Optical Instrumentation Engineers (SPIE), Vol. 5428, pp. 537-550, 2004. -Koutsoukos, X. D., “Estimation of hybrid systems using discrete sensors,” Proceedings of 42nd IEEE Conference on Decision and Control, Maui, HI, Vols. 1-6, Dec. 09-12, 2003. -Rapoport, I., Oshman, Y., “A Cramér-Rao type lower bound for the estimation error of systems with measurement faults,” Proceedings of 42nd IEEE Conference on Decision and Control, 9-12 Dec. 2003, Maui, HI, Vols. 1-6, pp. 4853-4858, 2003. -Bessell, A., Ristic, B., Farina, A., et al., “Error performance bounds for tracking a maneuvering target,” Proceedings of 6th International Conference on Information Fusion, 8-11 Jul. 2003, Cairns, Australia, FUSION 2003, Vols. 1-2, pp. 903-910, 2003. -Xiong, W., He, Y., Zhang, J. W., “Centralized multisensor nonlinear filter method,” Proceedings of 3rd International Symposium on Instrumentation Science and Technology, 18-22 Aug. 2004, Xian, People's Republic China, Vol. 2, pp. 526-530, 2004. -Ristic, B., Farina, A., Hernandez, M., “Cramér-Rao lower bound for tracking multiple targets,” IEE Proceedings-Radar, Sonar, and Navigation, Vol. 151, No. 3, pp. 129-134, Jun. 2004. -Behazin, F., Nabavi, B., Fesharaki, M. N., “The reformulation and modification on iterated EKF for applications with large-dimension measurement,” Proceedings of 6th International Conference on Signal Processing, 26-30 Aug. 2002, Beijing, People's Republic of China, Vols. I and II, pp. 756-759, 2002. -Simandl, M., Straka, O., “Seting sample size in particle filters using Cramér-Rao bound,” Proceedings of 5th IFAC Symposium on Nonlinear Control Systems, 4-6 Jul. 2001, St. Petersburg, Russia, Nonlinear Control Systems 2001, Vols. 1-3, IFAC Symposia Series, pp. 681-686, 2002. -Ning, X. L., Fang, J. C., “A new method of autonomous navigation for deep space explorer based on information fusion,” Proceedings of 6th International Conference on Electronic Measurement and Instruments, 18-21 Aug. 2003, Taiyuan, People's Republic of China, Vols. 1-3, pp. 220-224, 2003. -Li, X. R., Jilkov, V. P., “A survey of maneuvering target tracking - Part II: Ballistic target models,” Proceedings of 13th Conference on Signal and Data Processing of Small Targets, 30 Jul.-2 Aug. 2001, San Diego, CA, Proceedings of The Society of Photo-Optical Instrumentation Engineers (SPIE), Vol. 4473, pp. 559-581, 2001. -Li, X. R., Jilkov, V. P., “A survey of maneuvering target tracking - Part III: Measurement models,” Proceedings of 13th Conference on Signal and Data Processing of Small Targets, 30 Jul.-2 Aug. 2001, San Diego, CA, Proceedings of The Society of Photo-Optical Instrumentation Engineers (SPIE), Vol. 4473, pp. 423-446, 2001. -Li, X. R., Jilkov, V. P., “A survey of maneuvering target tracking - Part IV: Decision-based methods,” Proceedings of 14th Conference on Signal and Data Processing of Small Targets, 2-4 Apr. 2002, Orlando, FL, Proceedings of The Society of Photo-Optical Instrumentation Engineers (SPIE), Vol. 4728, pp. 511-534, 2002. -El-Mahy, M. K., “Efficient satellite orbit determination algorithm,” Proceedings of 18th National Radio Science Conference (NRSC 2001), 27-29 Mar. 2001, Mansoura, Egypt, Vols. 1 and 2, pp. 225-232, 2001. -Hanebeck, U. W. D., “Recursive nonlinear set-theoretic estimation based on pseudo ellipsoids,” Proceedings of International Conference on Multisensor Fusion and Integration for Intelligent Systems, 20-22 Aug. 2001, Baden Baden, Germany, pp. 159-164, 2001. -Mosavi, M. R., Mohammadi, K., “Improve the position accuracy on low cost GPS receiver with adaptive neural networks,” Proceedings of Student Conference on Research and Development-Globalizing Research and Development in Electrical and Electronics Engineering, 16-17 Jul. 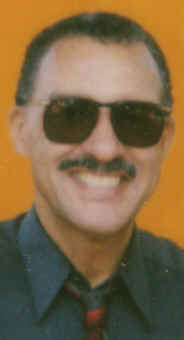 2002, Shah Alam, Malaysia,, pp. 322-325, 2002. -Campa, G., Fravolini, M. L., Napolitano, M, et al., “Neural networks-based sensor validation for the flight control system of a B777 research model,” Proceedings of 20th Annual American Control Conference (ACC), 8-10 May 2002, Anchorage, AK, Vols. 1-6, pp. 412-417, 2002. -Vershinin, Y. A., “A data fusion algorithm for multisensor systems,” Proceedings of 5th International Conference on Information Fusion (FUSION 2002), 8-11 Jul. 2002 Annapolis, MD, Vol. I, pp. 341-345, 2002. -Chetouani, Y., Mouhab, N., Cosmao, J. M., et al., “Application of extended Kalman filtering to chemical reactor fault detection,” Chemical Engineering Communications, Vol. 189, No. 9, pp. 1222-1241, Sep. 2002. -Stentz, A., Dima, C., Wellington, C., et al., “A system for semi-autonomous tractor operations,” Autonomous Robots, Vol. 13, No. 1, pp. 87-104, Jul. 2002. -Carpenter, J. R., “Decentralized control of satellite formations,” International Journal of Robust and Nonlinear Control, Vol. 12, No. 2-3, pp. 141-161, Feb.-Mar. 2002. -Mirabadi, A., Mort, N., Schmid, F., “A fault tolerant train navigation system using multisensor, multifilter integration techniques,” Proceedings of International Conference on Multisource-Multisensor Information Fusion (FUSION '98), 6-9 Jul. 1998 Las Vegas, NV, Vols. 1 AND 2, pp. 340-347, 1998. -Degen, U., “Operations research of tracking algorithms for air surveillance system,” Proceedings of International Conference on Multisource-Multisensor Information Fusion (FUSION '98), 6-9 Jul. 1998 Las Vegas, NV, Vols. 1 and 2, pp. 850-855, 1998. -Fravolini, M. L., Campa, G., Napolitano, M., et al., “Minimal resource allocating networks for aircraft SFDIA,” Proceedings of IEEE/ASME International Conference on Advanced Intelligent Mechatronics (AIM '01), 8-12 Jul. 2001, Como, Italy, Vols. I and II, pp. 1251-1256, 2001. -Hasan, K., Hossain, J., “Multichannel autoregressive spectral estimation from noisy observations,” Proceedings of 10th International IEEE Tencon Conference, 24-27 Sep. 2000, Kuala Lumpur, Malaysia, Vols. 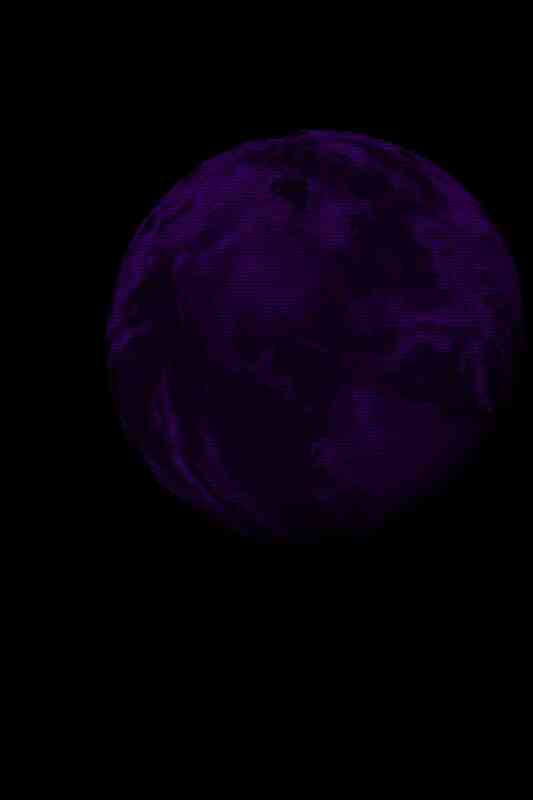 I-III, Intelligent Systems and Technologies for the New Millennium, pp. 327-332, 2000. -Simandl, M., Kralovec, J., Tichavsky, P., “Filtering, predictive, and smoothing Cramér-Rao bounds for discrete-time nonlinear dynamic systems,” Proceedings of 14th IFAC World Congress, 5-9 Jul. 1999, Beijing, Peoples Republic of China, Automatica, Vol. 37, No. 11, pp. 1703-1716, Nov. 2001. -Leung, H., Zhu, Z. W., “Performance evaluation of EKF-based chaotic synchronization,” IEEE Transactions on Circuits and System I-Fundamental Theory and Applications, Vol. 48, No 9, pp. 1118-1125, Sep. 2001. -Sivananthan, S., Kirubarajan, T., Bar-Shalom, Y., “Radar power multiplier for acquisition of low observables using an ESA radar,” IEEE Transactions on Aerospace and Electronic Systems Systems, Vol. 37, No. 2, pp. 401-418, Apr. 2001. -Li, Y., Sundararajan, N., Saratchandran, P., “Stable neuro-flight-controller using fully tuned radial basis function neural networks,” Journal of Guidance, Control, and Dynamics, Vol. 24, No. 4, pp. 665-674, Jul.-Aug. 2001. -Niu, R. X., Willett, P., Bar-Shalom, Y., “Matrix CRLB scaling due to measurements of uncertain origin,” IEEE Transactions on Signal Processing, Vol. 49, No. 7, pp. 1325-1335, Jul. 2001. -Bergman, N., Doucet, A., Gordon, N., “Optimal estimation and Cramér-Rao bounds for partial non-gaussian state space models,” Proceedings of International Symposium on the Frontiers of Time Series Modeling, 14-16 Feb. 2000, Annals of the Institute of Statistical Mathematics, Tokyo, Japan, Vol. 53, No. 1, Special Issue, pp. 97-112, Mar. 2001. -Mahapatra, P. R., Mehrotra, K., “Mixed coordinate tracking of generalized maneuvering targets using acceleration and jerk models,” IEEE Transactions on Aerospace and Electronic Systems, Vol. 36, No. 3, pp. 992-1000, Jul. 2000. -Mirabadi, A., Schmid, F., Mort, N., “Fault detection and isolation in a multisensor train navigation system,” Proceedings 6th International Conference on Computer Aided Design, Manufacture, and Operation in the Railway and Other Advanced Mass Transit Systems, 2-4 Sep. 1998, Lisbon, Portugal, Computers in Railways VI, Advances in Transportation, Vol. 2, pp. 1025-1035, 1998. -Jayakumar, M., Banavar, R. N., “Risk-sensitive filters for recursive estimation of motion from images,” IEEE Transactions on Pattern Analysis and Machine Intelligence, Vol. 20, No. 6, pp. 659-666, Jun. 1998. -Tichavsky, P., Muravchik, C. H., Nehorai, A., “Posterior Cramér-Rao bounds for discrete-time nonlinear filtering,” Proceedings of 1st European Conference on Signal Analysis and Prediction (ECSAP-97), 24-27 Jun. 1997 Prague, Czech Republic, IEEE Transactions on Signal Processing, Vol. 46, No. 5, pp. 1386-1396, May 1998. -Koshaev, D. A., “A comparison of lower bounds of accuracy in problems of nonlinear estimation,” Journal of Computer and Systems Sciences International, Vol. 37, No. 2, pp. 222-225, Mar.-Apr. 1998. -Mazor, E., Averbuch, A., Bar-Shalom, Y., et al., “Interacting multiple model methods in target tracking: A survey,” IEEE Transactions on Aerospace and Electronic Systems, Vol. 34, No. 1, pp. 103-123, Jan. 1998. -Koshaev, D. A., Stepanov, O. A., “Application of the Rao-Cramér inequality in problems of nonlinear estimation,” Journal of Computer and System Sciences International, Vol. 36, No. 2, pp. 220-227, Mar.-Apr. 1997. -on page 208 in Bevly, D. M., Parkinson, B., “Cascaded Kalman Filters for Accurate Estimation of Multiple Biases, Dead-Reckoning Navigation, and Full State Feedback Control of Ground Vehicles,” IEEE Trans. on Control Systems Technology, Vol. 15, No. 2, pp. 199-208, Mar. 2007. -Lee, H. K., Lee, J. G., “Fault-Tolerant Compression Filters by Time-Propagated Measurement Fusion,” Automatica, Vol. 43, No. 2, pp. 355-361, Feb. 2007. -Xu, B. L., Wu, Z. Y., Wu, Wang, Z. Q., “On the Cramér-Rao Lower Bound for Biased Bearings-Only Maneuvering Target Tracking,” IEEE Trans. on Signal Processing, Vol. 87, No. 12, pp. 3175-3189, Dec. 2007. -Mironovskii, L. A., “The Use of Analytical Redundancy,” Measurement Techniques, Vol. 50, No. 6, pp. 142-148, Feb. 2007. -Aloi, D. N., Alsliety, M., Akos, D. M., “A Methodology for the Evaluation of a GPS Receiver in Telematics Applications,” IEEE Trans. on Instrumentation and Measurement, Vol. 56, No. 1, pp. 11-24, Feb. 2007. -Petsios, M. N., Alivizatos, E. G., Uzunoglu, N. K., “Manuvering Target Tracking Using Multiple Bistatic Range and Range-Rate Measurements,” IEEE Trans. on Signal Processing, Vol. 87, No. 4, pp. 665-686, Apr. 2007. -on page 48 of Hue, C., Le Cadre, J.-P., Perez, P., “Posterior Cramér-Rao Bounds for Multi-Target Tracking,” IEEE Trans. on Aerospace and Electronic Systems, Vol. 42, No. 1, pp. 37-49, Jan. 2006. -Chetouani, Y., “Fault Detection in a Chemical Reactor by Using the Standardized Innovation,” Process Safety and Environmental Protection, Vol. 84, No. B1, pp. 27-32, Jan. 2006. -Gupta, V., Chung, T. H., Hassibi, B., Murray, R. M., “On a Stochastic Sensor Selection Algorithm with Applications in Sensor Scheduling and Sensor Coverage,” Automatica, Vol. 42, No. 2, pp. 251-260, Feb. 2006. -Hwang, D. H., Oh, S. H., Lee, S. J., Park, C., Rizos, C., “Design of a Low-Cost Attitude Determination GPS/INS Integrated Navigation System,” GPS Solutions, Vol. 9, No. 4, pp. 294-311, Nov. 2006. -Pulford, G. W., “Taxonomy of Multiple Target Tracking Systems,” IEE Proceedings-Radar, Sonar, and Communications, Vol. 151, No. 5, pp. 291-304, Oct. 2005. -Ristic, B., “Cramér Rao Bounds for Target Tracking,” International Conference on Sensor Networks and Information Processing, 6 Dec. 2005. -Lee, T. H., Ra, W. S., Yoon, T. S., Park, J. B., “Robust Extended Kalman Filtering via Krein Space Estimation,” IEICE Transactions on Fundamentals of Electronics Communications and Computer Sciences, Vol. E87A, No. 1, pp. 243-250, Jan. 2004. -Hagan, M. T., Demuth, H. B., De Jesus, O., “An Introduction to the Use of Neural Networks in Control Systems,” International Journal of Robust and Nonlinear Control, Vol. E87A, No. 1, pp. 243-250, Jan. 2004. -on page 2369 of Hernandez, M., Ristic, B., Farina, A., Timmoneri, L., “A Comparison of Two Cramér-Rao Bounds for Nonlinear Filtering with Pd < 1,” IEEE Trans. on Signal Processing, Vol. 52, No. 9, pp. 2361-2370, Sept. 2004. -on page 81 of Ristic, B., Arulampalam, S., Gordon, N., Beyond the Kalman Filter: Particle Filters for Tracking Applications, Artech House, Boston, MA, 2004. -in references of Mutel, L. H., Speyer, J. L., “Fault-Tolerant GPS/INS Navigation System with Application to Unmanned Aerial Vehicles,” Navigation: Journal of the Institute of Navigation, Vol. 49, No. 1, Spring 2002. -in references of Tichavsky, P., Muravchik, C. H., Nehorai, A., “Posterior Cramér-Rao Bounds for Discrete-Time Nonlinear Filtering,” IEEE Trans. on Signal Processing, Vol. 46, No. 5, pp. 1386-1396, May 1998. -in Siouris, G. M., Chen, G.-R., Wang, J.-R., “Tracking an Incoming Ballistic Missile using an Extended Interval Kalman Filter,” IEEE Trans. on Aerospace and Electronic Systems, Vol. 33, No. 1, pp. 232-240, Jan. 1997. -in Napolitano, M. R., Chen, C. L., Naylor, S., “Aircraft Failure Detection and Identification using Neural Networks,” AIAA Journal of Guidance, Control, and Dynamics, Vol. 16, No. 6, pp. 999-1009, 1998. -in Napolitano, M. R., Neppach, C., Casdorph, V., Naylor, S., Innocenti, M., Silventri, G., “Neural-Network-based Scheme for Sensor Failure Detection,” AIAA Journal of Guidance, Control, and Dynamics, Vol. 18, No. 6, pp. 1280-1286, Nov.-Dec. 1995. -in Grejner-Brzezinska, D. A., Da, R., Toth, C., “GPS error modeling and OTF ambiguity resolution for high-accuracy GPS/INS integrated system,” Journal of Geodesy, Vol. 72, pp. 626-638, 1998. -in Farina, A., “Target Tracking with Bearings-Only Measurements,” IEEE Trans. on Signal Processing, Vol. 78, No. 1, pp. 61-78, Oct. 1999. -in Ristic, B., Farina, A., Hernandez, M., “Cramér-Rao lower bound for Tracking Multiple Targets,” IEE Proceedings-Radar, Sonar, and Navigation, Vol. 151, No. 3, pp. 129-134, Jun. 2004. -in Simandl, M., Kralovec, J., Tichavsky, P., “Filtering, Prediction, and Smoothing Cramér-Rao Bounds for Discrete Time Nonlinear Dynamic Systems,” Automatica, Vol. 37, No. 11, pp. 1703-1716, Nov. 2001. -in Spall, J. C., Garner, J. P., “Parameter-Identification for State-Space Models with Nuisance Parameters,” IEEE Trans. on Aerospace and Electronic Systems, Vol. 26, No. 6, pp. 992-998, Nov. 1990. -in Da, R., Lin, C. F., “A New Failure-Detection Approach and its Application to GPS Autonomous Integrity Monitoring,” IEEE Trans. on Aerospace and Electronic Systems, Vol. 31, No. 1, pp. 499-506, Jan. 1995. -in Da, R., “Failure-Detection of Dynamical Systems with the State Chi-Square Test,” AIAA Journal of Guidance, Control, and Dynamics, Vol. 17, No. 2, pp. 271-277, Mar.-Apr. 1994. -in Leung, H., Zhu, Z. W., “Performance Evaluation of EKF-based Chaotic Synchronization,” IEEE Trans. on Circuits and Systems, Vol. 48, No. 9, pp. 1118- 1125, Sep. 2001. -in Bergman, N, Doucet, A., Gordon, N., “Optimal estimation and Cramér-Rao Bounds for Partial Non-Gaussian State Space Models,” Annals of the Institute of Statistical Mathematics, Vol. 53, No. 1, pp. 97-112, Iss S I Mar. 2001. -in Mahapatra, P. R., Mehrotra, K., “Mixed coordinate tracking of generalized maneuvering targets using acceleration and jerk models,” IEEE Trans. on Aerospace and Electronic Systems, Vol. 36, No. 3, pp. 992-1000, Jul. 2000. -in Park, S. T., Lee, J. G., “Improved Kalman Filter design for three-dimensional radar tracking,” IEEE Trans. on Aerospace and Electronic Systems, Vol. 37, No. 2, pp. 727-739, Apr. 2001. -in Reece, S., “Nonlinear Kalman filtering with semi-parametric Biscay distributions,” IEEE Trans. on Signal Processing, Vol. 49, No. 11, pp. 2445-2453, Nov. 2001. -in Sivananthan, S., Kirubarajan, T., and Bar-Shalom, Y., “Radar Power Multiplier for Acquisition of Low Observables using an ESA Radar,” IEEE Trans. on Aero- space and Electronic Systems, Vol. 37, No. 2, pp. 401-418, Jan. 2001. -in Lee, T. H., Ra, W. S., Jin, S. H., et al, “Robust extended Kalman filtering via Krein space estimation,” IEICE Transactions on Fundamentals of Electronics Communications and Computer Sciences, No. 1, pp. 243-250, Jan. 2004. -in Niu, R. X., Willett, P., Bar-Shalom, Y., “Matrix CRLB Scaling due to measurements of uncertain origin,” IEEE Trans. on Signal Processing, Vol. 49, No. 7, pp. 1325-1335, Jun. 2001. -in Nabaa, N., Bishop, R. H., “Solution to a Multisensor Tracking Problem with Sensor Registration Errors,” IEEE Trans. on Aerospace and Electronic Systems, Vol. 35, No. 1, pp. 354-365, Jan. 1999. -in Rizos, Chris, “Quality Issues in Real-Time GPS Positioning,” International Association of Geodesy SSG 1.154, IUGG Congress, Birmingham, U.K., 18-29 July 1999. -in Jayakumar, M., Banavar, R. N., “Risk-sensitive filters for recursive estimation of motion from images,” IEEE Trans. on Pattern Analysis and Machine Intelligence, Vol. 20, No. 6, pp. 659-666, Jun. 1998. -in Mazor, E., Averbuch, A., Bar-Shalom, Y., et al, “Interacting multiple model methods in target tracking: A Survey,” IEEE Trans. on Aerospace and Electronic Systems, Vol. 34, No. 1, pp. 103-123, Jan. 1998. -in Benhaim, Y., “Optimizing Multi-hypothesis Diagnosis of Control-Actuator Failures in Linear Systems,” AIAA Journal of Guidance, Control, and Dynamics, Vol. 13, No. 4, pp. 744-750, Jul.-Aug. 1990. -in Li, X. -R., Bar-Shalom, Y., “Performance Prediction of the Interacting Multiple Model Algorithm,” IEEE Trans. on Aerospace and Electronic Systems, Vol. 29, No. 3, pp. 755-771, Jul. 1993. -in Campa, G., Fravdini, M. L., Seanor, B., et al, “On-line learning neural networks for sensor validation for flight control system of a B777 research scale model,” International Journal of Robust and Nonlinear Control, Vol. 12, No. 11, pp. 987-1007, Sep. 2002. -in Korbicz, J., Fathi, Z., Ramirez, W. F., “State Estimation Schemes for Fault-Detection and Diagnosis in Dynamic-Systems,” International Journal of System Science, Vol. 24, No. 5, pp. 985-1000, May 1993. -in Ghil, M., Malanotterizzoli, P., “Data Assimilation in Meteorology and Oceanography,” Advances in Geophysics, Vol. 33, pp. 141-266, 1991. -in Hanan, K., Yahagi, T., “An iterative method for the identification of multi-channel autoregressive processes with additive observation noise,” IEICE Transactions on Fundamentals of Electronics Communications and Computer Sciences, No. 5, pp. 674-680, May 1996. -in Liggins, M. E., Chong, C. Y., Kadar, I., et al, “Distributed fusion architectures and algorithms for target tracking,” Proceedings of the IEEE, Vol. 85, No. 1, pp. 95-107, Jan. 1997. -in Doerschuk, P. C., “Cramér-Rao Lower Bounds for Discrete-Time Nonlinear Filters,” IEEE Trans. on Automatic Control, Vol. 40, No. 8, pp. 1465-1469, Aug. 1995. -in Lu S., Doerschuk, P. C., “Performance Bounds for Nonlinear Filters,” IEEE Trans. on Aerospace and Electronic Systems, Vol. 33, No. 1, pp. 316-319, Jan. 1995. -in Zolghadri, A., Bergeon, B., Monison, M., “A Two Ellipsoid Overlap Test for On-line Failure Detection,” Automatica, Vol. 29, No. 6, pp. 1517-1522, 1993. -in Zolghadri, A., “An Algorithm for Real-Time Failure Detection in Kalman Filters,” IEEE Trans. on Automatic Control, Vol. 41, No. 1, pp. 232-240, Oct. 1996. -in Wahnon, E., “A Min-Max Testing Approach to Failure-Detection and Identification,” Lecture Notes in Control and Information Sciences, Vol. 144, pp. 487-496, 1990. -in Golovan, A. A., Mironovskii, L. A., “An Algorithmic Control of Kalman Filters,” Automation and Remote Control, Vol. 54, No. 7, pp. 1183-1194, Jul. 1993. -in Gadzhiev, C. M., “Prediction of failures in linear-systems with the use of tolerance ranges,” Measurement Techniques, Vol. 35, No. 8, pp. 851-896, Aug. 1992. -in Gadzhiev, C. M., “Prediction the Technical State of Dynamic Systems by a Kalman Filter Updating Sequence,” Automation and Remote Control-Part 2, Vol. 54, No. 5, pp. 851-854, May 1993. -in Mertikas, S. P., Rizos, C., “On-line Detection of Abrupt Changes in the Carrier-Phase measurement of GPS,” Journal of Geodesy, Vol. 71, pp. 469-482, 1997. -in Hagan, M. T., Demuth, H. B., De Jesus, O., “An introduction to the use of neural networks in control systems,” International Journal of Robust and Nonlinear Control, Vol. 12, No. 11, pp. 959-985, Sep. 2002. -in Li, Y., Sundararajan, N., Saratchandray, P., “Stable neuro-flight-controller using fully tuned radial basis function neural networks,” AIAA Journal of Guidance, Control, and Dynamics, Vol. 24, No. 4, pp. 665-674, Jul.-Aug. 2001. -in Durrant-Whyte, H. F., Rao, B. Y. S., Hu, H., “Toward a Fully Decentralized Architecture for Multisensor Fusion,” Proceedings of 1990 Conference on Robotics and Automation, pp. 1331-1336, Cincinnati, OH, 13-18 May 1990. -in Blackman, S. S., Broida, T. J., “Multiple-Sensor-Data-Association and Fusion in Aerospace Applications,” Journal of Robotic Systems, Vol. 7, No. 3, pp. 445-485, Jun. 1990. -in Roy, S., Hashemi, R. H., and Laub, A. J., “Square Root Parallel Filtering Using Reduced-Order Local Filters,” IEEE Trans. on Aerospace and Electronic Systems, Vol. 27, No. 2, pp. 276-289, Mar. 1991. -in Hong, L., “Centralized and Distributed Multisensor Integration with Uncertainties in Communication Networks,” IEEE Trans. on Aerospace and Electronic Systems, Vol. 27, No. 2, pp. 370-379, Mar. 1991. -in Makhoul, J., “Toeplitz Determinants and Positive Semidefiniteness,” IEEE Trans. on Signal Processing, Vol. 39, No. 3, pp. 743-746, Mar. 1991 (in particular, please see page 744, footnote and acknowledgement on page 748 for references to T. H. Kerr’s professionally benign comments and positively supportive and cooperative interactions with the author of this work). -in Brumback, B. D., Srinath, M. D., “A Fault-Tolerant Multisensor Navigation System-Design,” IEEE Trans. on Aerospace and Electronic Systems, Vol. 23, No. 6, pp. 738-756, 1987. -in Brumback, B. D., Srinath, M. D., “A Chi-Square Test for Fault-Detection in Kalman Filters,” IEEE Trans. on Automatic Control, Vol. 32, No. 6, pp. 532-554, June 1987. -in Uwe D. Hanbeck, “Recursive Nonlinear Set-Theoretic Estimation Based on Pseudo-Ellipsoids,” Proceedings of the IEEE Conference on Multisensor Fusion and Integration for Intelligent Systems, pp. 159–164 (MFI’ 2001), Baden–Baden. He is versed in FORTRAN77\90\95, PL/1, IBM Assembly Language, GW BASIC, BASICA, HTML, VBA, VBScript, and PC MatLab®\Simulink® (16-bit ver. 4.2.c and 32-bit ver. 6.5 MatLab and ver. 5.0 Simulink), COMSOL Multiphysics® vers. 3.5a and 4.1, and also has some experience with Neural Networks (NN) for pattern recognition applications. TeK Associates has MatLab and Simulink along with the following MatLab toolboxes and/or Blocksets (and has experience in using them, as first obtained for his graduate students at Northeastern University in the 1990’s and later during TeK Associates’ software development projects for National Missile Defense [NMD] for MITRE , XonTech , and Raytheon [1999, 2000] and for U. S. Navy AROSS Littoral Surveillance Program , specifically, Kalman filter covariance analysis of INS/GPS for Arête); and for Goodrich ISR (now UTC Flight Services) for certain critical 2 state Kalman filter analysis and simulation (Oct. 2011-May 2012) for camera pointing; and, more recently, for Kalman filter implementations in MatLab for OKSI (Nov. 2012-Mar. 2013) and Aurora Flight Sciences (2014) [now part of Boeing in 2018]. *Unfortunately, according to an October 2009 meeting at The MathWorks, their Data Acquisition Toolbox above currently lacks the ability to handle measurements using the older VME and PCI protocols, PCI, nor the ability to handle the recent PCIe protocol. In 2010, the Data Acquisition Toolbox does support PCIe protocol but still not VME. and with Simulink® Real-Time Workshop (ver. 5.0) and the associated Fixed Point Blockset. He is becoming more familiar with C and C++ (as a prelude to his using the more straight-forward C# [with automatic garabage collection] of Microsoft Studio.NET) and WindowsNT out of necessity since TeK Associates has developed and continues to refine and update a low cost PC-based Kalman filter\smoother\ simulator\optimal feedback regulator LQG\LTR software package: TK-MIP (first demonstrated at IEEE Electro’95 in Boston, MA). TK-MIP is for sale commercially along with the accompanying on-line prompters and built-in tutorials included as lucrative aspects of the software (where the tutorials are unloaded from memory during actual signal processing to avoid being a CPU burden at that critical time, but still present and available on the hard drive to appear when needed and invoked). TK-MIP does not use anything from MatLab or Simulink since its main objective is to be extremely efficient in order to be sufficiently real-time and to still run in a small footprint requiring a host PC with no more than 16 Megs of RAM. Using a processor with more than 16 Megabytes of RAM is therefore not a constraint on TK-MIP. Please click on the “TK-MIP ver. 2.0 for PC” button at top of this screen to proceed to a free demo download representative of our TK-MIP® software. If any potential customer has further interest in purchasing our TK-MIP® software, a detailed order form for printout (to be sent back to us via surface mail or fax) is available within the free demo by clicking on the obvious Menu Item appearing at the top of the primary demo screen (which is the Tutorials Screen within the actual TK-MIP® software). We also include representative numerical algorithms (fundamental to our software) for users to test for numerical accuracy and computational speed to satisfy themselves regarding its efficacy and efficiency before making any commitment to purchase. We also have experience with National Instruments’ LabView® ver. 8.1, with COMSOL Multiphysics® versions 3.5a and 4.1, and likewise with MathSoft’s S-Plus® version 4.5 and Latent Gold® statistical software, with Mathsoft’s MathCad® version 13, with Mathematica®, and with Microsoft’s Zing® (at http://research.microsoft.com/zing); all of which we possess except for LabView® and COMSOL Multiphysics). We also have InstallShield Express version 2.01 and InstallShield PackageForTheWeb version 1.3 and both Wise Installer version 8.12 and PC-Install version 7. Since 1992, his new forte is Visual Basic™ (vers. 3, 4, 5, 6 and .NET) for truly compiled executables, *.exe’s (ever since ver. 5), using VBX’s\OCX’s, DLL’s, DDE, OLE, COM\DCOM\COM+, CAPICOM, and the Window’s API for snappier performance on the PC under both Windows 9x\ME and WindowsNT\2000\XP and the use of associated third party tools. He is also involved in aspects of data acquisition for PC’s (e.g., DMA and PCI databuses and DAQ data acquisition cards and signal conditioning). He documents his research findings either in Microsoft Word or in LaTeX. He owns all the above mentioned software tools (including a Simulink-to-C compiler 3.0) and a wide variety of MatLab toolboxes, which he has demonstrated to his students at Northeastern University. (He was at Intermetrics, Inc. as Ada was developed there for the Air Force in the 1980’s, so he has some exposure to Ada® as well [but limited to just attending classes in it]. However, Tucker Taff at SofCheck (sofcheck.com, and previously at Intermetrics, Inc. and long standing local Ada guru) and Bard Crawford ( Ada Essentials: Overview, Examples and Glossary [Learnada, Vol. 1] by Bard Crawford Published in 19 June 2000, Trafford Publishing, British Columbia, Canada, ISBN 10: 1552123715, ISBN 13: 9781552123713, also as a Kindle Edition, and originally from Barnes and Noble) are minutes away from our location in the center of Lexington. (Also see www.AdaCore.com for current status and recent developments and Tucker Taft, as reported by this originally New York, NY company.) Dr. Crawford is currently two blocks away (until September 2009) and is known for his automated Ada teaching materials. However, it is merely a stepping stone since another version of Ada evolved later as Ada 95. Ada 95 Textbooks: Brief Reviews, January 2001, http://www.seas.gwu.edu/faculty/mfeldman/ada95books.htmMichael B. Feldman, Education Working Group Chair, ACM Special Interest Group on Ada (SIGAda), Department of Computer Science, The George Washington University, Washington, DC 20052, (202) 994-5919 (voice) -- (202) 994-4875 (fax), mfeldman@seas.gwu.edu http://www.seas.gwu.edu/faculty/mfeldmanFor additional information and other useful links pertaining to Ada 95, visit Ada Programming Language Resources for Educators and Students (http://www.acm.org/sigada/education) and AdaPower (http://www.adapower.com). SofCheck is also known for expertise in JAVA and in tools for JAVA support. TeK Associates’ version of Simulink accommodates Ada modules within an S-Box and likewise for Fortran code and C code. Fortran is not dead but lives on (in some of us, especially since U.S. Government laboratories and FFRDC’s received a waiver allowing them to be exempted from required use of Ada in the 1980’s). Fortran was the first computer language to meet the challenges of exploiting parallel processing machines, as Fortran 90/95. Dr. Kerr has developed a complete methodology consisting of a catalog of analytic closed-form test cases for verifying general purpose control and estimation related software code implementations and has previously participated (through the Boston area IEEE Control Systems Society as chairman for six years and as chairman of the Steering Committee for two years) in a run off competition\comparison which occurred in September 1993 between four local, but nationally known, Computer-Aided Control System Design (CACSD) vendors. The benefits of using these recommended or similarly justified test cases are the reduced computational expense incurred during software debug by using such low-dimensional test cases and the insight gained into software performance (as gauged against test problems of known closed-form solution behavior). Click here to see a copy of the software benchmark test handout that we sought to compare to the computed outputs at this IEEE meeting. Tom has been nominated to become an IEEE Fellow (but not yet completed): For contributions to Kalman filter-based failure detection/system reconfiguration theory and to decentralized Kalman filter and nonlinear filtering applications. Kerr, T. H., “Preliminary Quantitative Evaluation of Accuracy/Observables Trade-off in Selecting Loran/NAVSAT Fix Strategies,” TASC Technical Information Memorandum TIM-889-3-1, Reading, MA, December 1977 (Confidential). Kerr, T. H., “Improving C-3 SSBN Navaid Utilization,” TASC TIM-1390-3-1, Reading, MA, August 1979 (Secret). Kerr, T. H., “Modeling and Evaluating an Empirical INS Difference Monitoring Procedure Used to Sequence SSBN Navaid Fixes,” Proceedings of the Annual Meeting of the Institute of Navigation, U.S. Naval Academy, Annapolis, Md., 9-11 June 1981 (reprinted in Navigation: Journal of the Institute of Navigation, Vol. 28, No. 4, pp. 263-285, Winter 1981-82). Kerr, T. H., “Sensor Scheduling in Kalman Filters: Evaluating a Procedure for Varying Submarine Navaids,” Proceedings of 57th Annual Meeting of the Institute of Navigation, pp. 310-324, Albuquerque, NM, 9-13 June 2001 (an update). Kerr, T. H., and Chin, L., “A Stable Decentralized Filtering Implementation for JTIDS RelNav,” Proceedings of IEEE Position, Location, and Navigation Symposium, Atlantic City, NJ, 8-11 December 1980. Kerr, T.H., and Chin, L., “The Theory and Techniques of Discrete-Time Decentralized Filters,” in Advances in the Techniques and Technology in the Application of Nonlinear Filters and Kalman Filters, edited by C.T. Leondes, AGARDograph No. 256, Noordhoff International Publishing, Lieden, 1981. Carlson, N. A., Kerr, T. H., Sacks, J. E., “Integrated Navigation Concept Study,” Intermetrics Report No. IR-MA-321, 15 June 1984. Personally trailblazing R&D development of the Kalman filter-based Two Confidence Region Failure Detection proceeding from first principles and carrying it elegantly to fruition. He surveyed many historical approaches to decentralized filtering and narrowed down to identify those few that rigorously satisfied reasonableness constraints possessed by the Joint Tactical Information and Distribution System (JTIDS) and Integrated Communications Navigation and Identification in Avionics (ICNIA) applications that motivated his investigation. Ground breaking insight was exhibited in his leaping to realize the utility of combining his earlier “failure detection methodologies” with the results of his later investigation into “decentralized estimation”, thus reaping a satisfying firm theoretical foundation for “redundancy management” for navigation applications. where all three of the above discussions specifically pertain to different aspects of Kalman filters. Kerr, T. H., “Testing Matrices for Definiteness and Application Examples that Spawn the Need,” AIAA Journal of Guidance, Control, and Dynamics, Vol. 10, No. 5, pp. 503-506, Sept.-Oct., 1987. Kerr, T. H., “Three Important Matrix Inequalities Currently Impacting Control and Estimation Applications,” IEEE Trans. on Automatic Control, Vol. AC-23, No. 6, pp. 1110-1111, Dec. 1978. Kerr, T. H., “Rationale for Monte-Carlo Simulator Design to Support Multichannel Spectral Estimation and/or Kalman Filter Performance Testing and Software Validation/Verification Using Closed-Form Test Cases,” MIT Lincoln Laboratory Report No. PA-512, Lexington, MA, 22 December 1989 (BSD). Kerr, T. H., “Multichannel Shaping Filter Formulations for Vector Random Process Modeling Using Matrix Spectral Factorization,” MIT Lincoln Laboratory Report No. PA-500, Lexington, MA, 27 March 1989. Kerr, T. H., “Angle-Only Tracking,” slide presentation for Reentry Systems Program Review, Lincoln Laboratory, Lexington, MA, 10 Jan. 1989. Kerr, T. H., “Streamlining Measurement Iteration for EKF Target Tracking,” IEEE Transactions on Aerospace and Electronic Systems, Vol. 27, No. 2, Mar.1991. Kerr, T. H., “Use of GPS/INS in the Design of Airborne Multisensor Data Collection Missions (for Tuning NN-based ATR algorithms),” the Institute of Navigation Proceedings of GPS-94, Salt Lake City, pp. 1173-1188, 20-23 Sep. 1994. Kerr, T. H., “Extending Decentralized Kalman Filtering (KF) to 2-D for Real-Time Multisensor Image Fusion and/or Restoration,” Proceedings of SPIE Conference, Vol. 2755, Orlando, pp. 548-564, 8-10 Apr. 1996. Kerr, T. H., “Extending Decentralized Kalman Filtering (KF) to 2D for Real-Time Multisensor Image Fusion and/or Restoration: Optimality of Some Decentralized KF Architectures,” Proceedings of the International Conference on Signal Processing Applications & Technology, Boston, MA, 7-10 Oct. 1996. Kerr, T. H., “Developing Cramér-Rao Lower Bounds to Gauge the Effectiveness of UEWR Target Tracking Filters(U),” Proceedings of AIAA/BMDO Technology Readiness Conference and Exhibit, Colorado Springs, 3-7 August 1998 (Unclassified). Kerr, T. H., UEWR Design Notebook-Section 2.3: Track Analysis, TeK Associates: XonTech Report No. D744-10300, 29 March 1999. Kerr, T. H., “Considerations in whether to use Marquardt Nonlinear Least Squares vs. Lambert Algorithm for NMD Cue Track Initiation (TI) calculations,” TeK Associates Technical Report No. 2000-101, Lexington, MA, (for Raytheon, Sudbury, MA), 27 September 2000. Kerr, T. H., “Novel Variations on Old Architectures/Mechanizations for New Miniature Autonomous Systems,” Web-Based Proceedings of GNC Challenges of Miniature Autonomous Systems Workshop, Session E1: Controlling Miniature Autonomous Systems, sponsored by Institute of Navigation (ION), Fort Walton Beach, FL, 26-28 October 2009. Kerr, T. H., “Phase III GPS Integration; Volume 1: GPS U.E. Characteristics,” Intermetrics Report IR-MA-177, Cambridge, MA, Jan. 1983. Kerr, T. H., “Functional and Mathematical Structural Analysis of the Passive Tracking Algorithm (PTA),” Intermetrics Report No. IR-MA-208, Cambridge, MA, 25 May 1983, for NADC. Kerr, T. H., “Update to and Refinement of Aspects of Pattern Recognition Principles Used in the Missile Warning System (AN/AAR-47),” Intermetrics Report No. IR-MA-362, Cambridge, MA, for Honeywell Electro-Optical, Lexington, MA, 15 Sep. 1984. Made a Life Senior Member of IEEE in 2011. Ride leader for Charles River Wheelmen (’90-’97), long distance cycling club. (Member: ’77-Present). §The CR2 failure detection approach, developed by Tom and summarized above, is independently endorsed in: Brumback, B. D., Srinath, M. D., “A Chi-Square Test for Fault-Detection in Kalman Filters,” IEEE Trans. on Automatic Control, Vol. 32, No. 6, pp. 532-554, June 1987. Please notice the high ratings of relevance and importance ascribed to the publications listed above, when they are obtained from the Citation Index associated with the on-line “Web of Science” at any good research library. While we sometimes serve as a watch dog; evidently, more watch dogs are badly needed! TeK Associates’ website sometimes contains links to other sites. TeK Associates assumes no responsibility for the content or the privacy policies and practices of such websites. TeK Associates encourages you to read the privacy statements of these linked sites; their privacy practices may differ from ours. However, we are always rather conservative in what we link to.